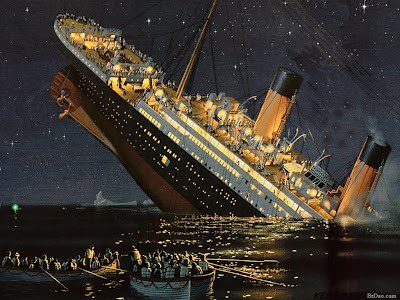 SUNLIT UPLANDS: Huckabee Finds Himself Aboard the Titanic and Wants OFF! Huckabee Finds Himself Aboard the Titanic and Wants OFF! For months now, conservative talk radio stations throughout South Carolina have been airing a message from Governor Mike Huckabee telling us how grateful we should be for the "conservative" leadership of Senator Lindsey Graham. The ads, paid for by a pro-amnesty for illegal immigrants front-group with the misleading name of South Carolina Conservative Action Alliance, have also touted Graham's inclination to intervene in every war raging on the planet. Such ads obviously sounded, in the months before a GOP Primary for the Senate nomination, like an endorsement. But apparently Governor Huckabee, with political ambitions of his own, hasn't been to South Carolina in awhile, or has just been informed that he booked passage on a sinking ship. To be clear, I haven’t endorsed Lindsey Graham for Senate. Obviously, Senator Graham’s people are using the ‘Thank you’ ad and treating it like an endorsement, but neither the PAC nor I personally have endorsed in the South Carolina Senate race. Please help me by sharing this statement with your friends across South Carolina so voters understand where I stand. Clearly, anyone who has been in politics as long as you have, Governor, should have known that such radio ads would be used and received as a political endorsement, particularly in the months preceding a hotly contested primary. No need for panic, however, there is a lifeboat -- may we suggest that you endorse the real conservative in the race - our next U.S. Senator, Bill Connor.